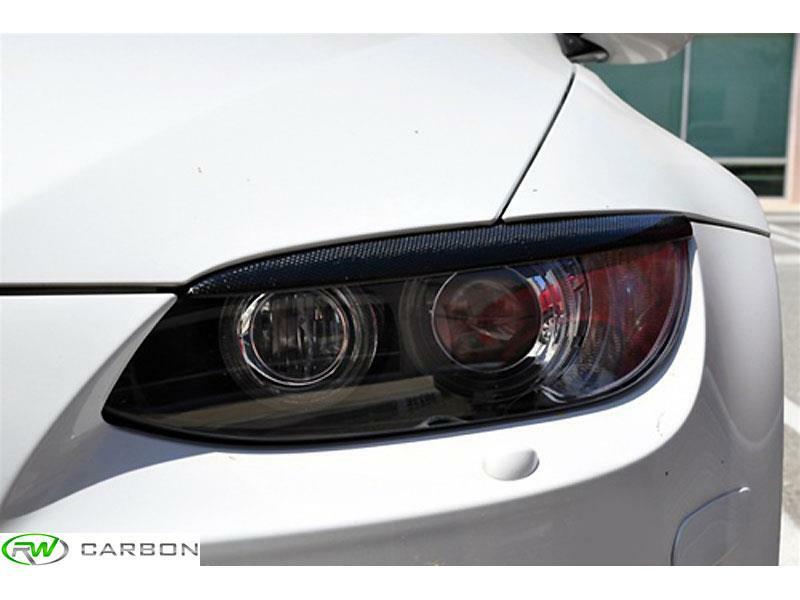 The perfect final touch for the exterior of your E9X M3 or E92/E93 3 Series are these carbon fiber eyelids. These eyelids adhere to the top part of your headlights using double sided tape, and can be removed at any time without causing damage to your vehicle. These carbon fiber eyelids are crafted from ABS that is then overlayed with 1x1 carbon fiber and finished with a clearcoat. If you have a carbon fiber hood or front lip these eyelids make a great addition. installation can be done by any enthusiast in just minutes. Fits 2008-2013 BMW E90, E92, and E93 M3 as well as 2007-2013 BMW E92/E93 328i, 335i, and 335is.